GOOD BALANCE IS OFTEN TAKEN FOR GRANTED. Most people don’t find it difficult to walk across a gravel driveway, transition from walking on a sidewalk to grass, or get out of bed in the middle of the night without stumbling. However, with impaired balance such activities can be extremely fatiguing and sometimes dangerous. Symptoms that accompany the unsteadiness can include dizziness, vertigo, hearing and vision problems, and difficulty with concentration and memory. Balance is the ability to maintain the body’s center of mass over its base of support.1 A properly functioning balance system allows humans to see clearly while moving, identify orientation with respect to gravity, determine direction and speed of movement, and make automatic postural adjustments to maintain posture and stability in various conditions and activities. 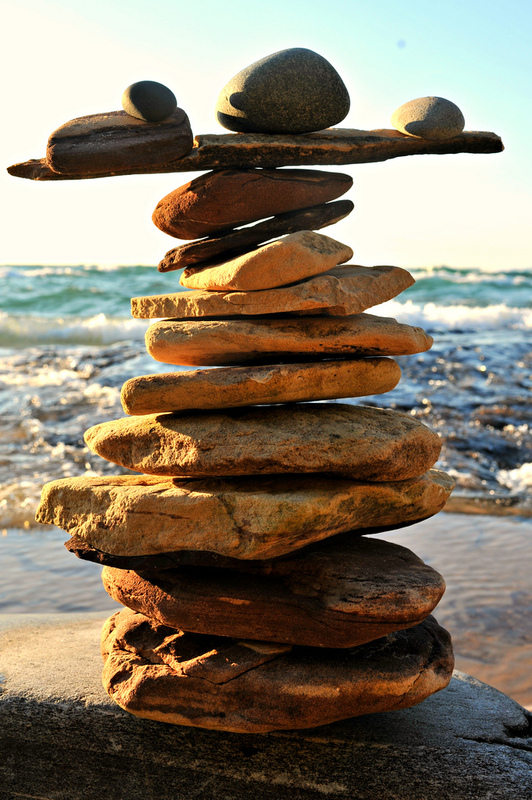 Balance is achieved and maintained by a complex set of sensorimotor control systems that include sensory input from vision (sight), proprioception (touch), and the vestibular system (motion, equilibrium, spatial orientation); integration of that sensory input; and motor output to the eye and body muscles. Injury, disease, or the aging process can affect one or more of these components. Maintaining balance depends on information received by the brain from three peripheral sources: eyes, muscles and joints, and vestibular organs (Figure 1). All three of these sources send information to the brain in the form of nerve impulses from special nerve endings called sensory receptors. Figure 1. Balance is achieved and maintained by a complex set of sensorimotor control systems. Sensory receptors in the retina are called rods and cones. When light strikes the rods and cones, they send impulses to the brain that provide visual cues identifying how a person is oriented relative to other objects. For example, as a pedestrian walks along a city street, the surrounding buildings appear vertically aligned, and each storefront passed first moves into and then beyond the range of peripheral vision. Proprioceptive information from the skin, muscles, and joints involves sensory receptors that are sensitive to stretch or pressure in the surrounding tissues. For example, increased pressure is felt in the front part of the soles of the feet when a standing person leans forward. With any movement of the legs, arms, and other body parts, sensory receptors respond by sending impulses to the brain. The sensory impulses originating in the neck and ankles are especially important. Proprioceptive cues from the neck indicate the direction in which the head is turned. Cues from the ankles indicate the body’s movement or sway relative to both the standing surface (floor or ground) and the quality of that surface (for example, hard, soft, slippery, or uneven). Balance information provided by the peripheral sensory organs—eyes, muscles and joints, and the two sides of the vestibular system—is sent to the brain stem. There, it is sorted out and integrated with learned information contributed by the cerebellum (the coordination center of the brain) and the cerebral cortex (the thinking and memory center). The cerebellum provides information about automatic movements that have been learned through repeated exposure to certain motions. For example, by repeatedly practicing serving a ball, a tennis player learns to optimize balance control during that movement. Contributions from the cerebral cortex include previously learned information; for example, because icy sidewalks are slippery, one is required to use a different pattern of movement in order to safely navigate them. A person can become disoriented if the sensory input received from his or her eyes, muscles and joints, or vestibular organs sources conflicts with one another. For example, this may occur when a person is standing next to a bus that is pulling away from the curb. The visual image of the large rolling bus may create an illusion for the pedestrian that he or she—rather than the bus—is moving. However, at the same time the proprioceptive information from his muscles and joints indicates that he is not actually moving. Sensory information provided by the vestibular organs may help override this sensory conflict. In addition, higher level thinking and memory might compel the person to glance away from the moving bus to look down in order to seek visual confirmation that his body is not moving relative to the pavement. As sensory integration takes place, the brain stem transmits impulses to the muscles that control movements of the eyes, head and neck, trunk, and legs, thus allowing a person to both maintain balance and have clear vision while moving. A baby learns to balance through practice and repetition as impulses sent from the sensory receptors to the brain stem and then out to the muscles form a new pathway. With repetition, it becomes easier for these impulses to travel along that nerve pathway—a process called facilitation—and the baby is able to maintain balance during any activity. Strong evidence exists suggesting that such synaptic reorganization occurs throughout a person’s lifetime of adjusting to changing environments or health conditions. This pathway facilitation is the reason dancers and athletes practice so arduously. Even very complex movements become nearly automatic over a period of time. For example, when a person is turning cartwheels in a park, impulses transmitted from the brain stem inform the cerebral cortex that this particular activity is appropriately accompanied by the sight of the park whirling in circles. With more practice, the brain learns to interpret a whirling visual field as normal during this type of body rotation. Alternatively, dancers learn that in order to maintain balance while performing a series of pirouettes, they must keep their eyes fixed on one spot in the distance as long as possible while rotating their body. The vestibular system sends motor control signals via the nervous system to the muscles of the eyes with an automatic function called the vestibulo-ocular reflex. When the head is not moving, the number of impulses from the vestibular organs on the right side is equal to the number of impulses coming from the left side. When the head turns toward the right, the number of impulses from the right ear increases and the number from the left ear decreases. The difference in impulses sent from each side controls eye movements and stabilizes the gaze during active head movements (e.g., while running or watching a hockey game) and passive head movements (e.g., while sitting in a car that is accelerating or decelerating). The human balance system involves a complex set of sensorimotor-control systems. Its interlacing feedback mechanisms can be disrupted by damage to one or more components through injury, disease, or the aging process. Impaired balance can be accompanied by other symptoms such as dizziness, vertigo, vision problems, nausea, fatigue, and concentration difficulties. The complexity of the human balance system creates challenges in diagnosing and treating the underlying cause of imbalance. Vestibular dysfunction as a cause of imbalance offers a particularly intricate challenge because of the vestibular system’s interaction with cognitive functioning,2 and the degree of influence it has on the control of eye movements and posture.